Celebrity 53 is a crowning achievement in mobile design which combines the quality and appointments of a luxury yacht into a trailer of incomparable square footage and headroom. 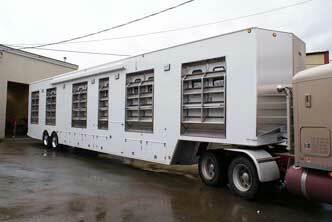 Built for companies such as Lunchbox Transportation, Our Double Expandable series is our largest footprint trailer. Our exclusive design gives you up to 1,100 sq. ft. in under 10 minutes. 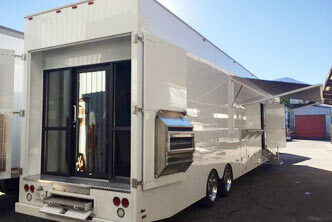 Celebrity 48 is an A-list trailer with a little less Ritz. 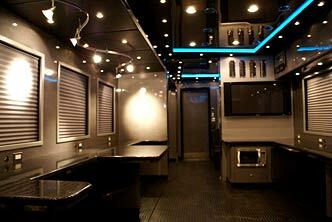 Celebrity 48 can be custom built in a multitude or configurations to suit the needs of any celebrity. 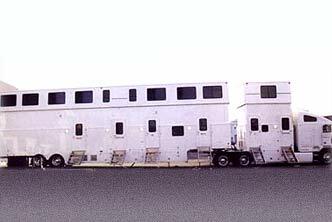 Our Double Decker series is our two storey line. Rather than go out we went up! We have incorporated a retractable top that gives you an entire second floor of space. 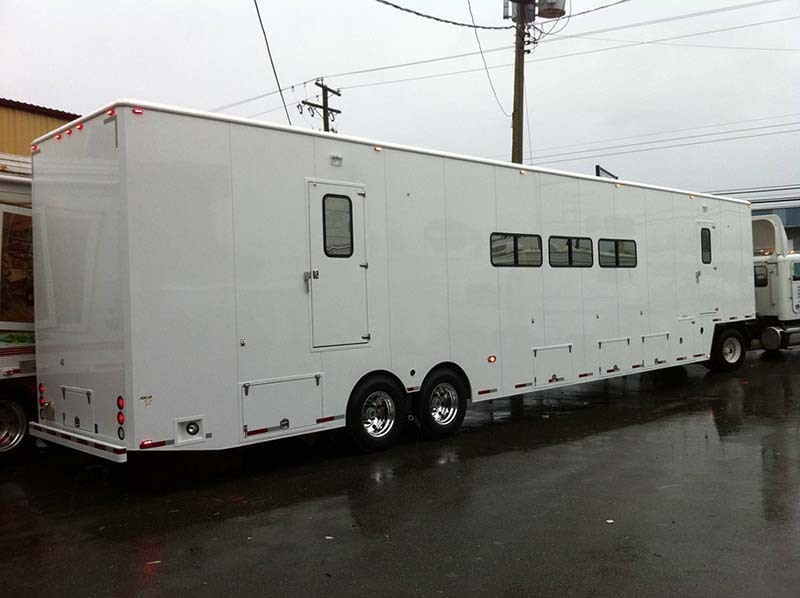 This concept has many uses and can be built in a wide variety of configurations and lengths. 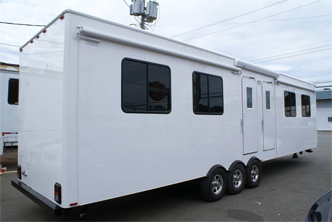 Our towable cast or star trailer line is offered in one, two, and three room combinations with or without slide-outs. 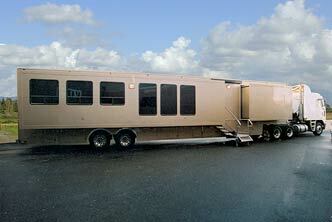 Jexcar Cast Trailers are light, dependable, and designed to last. 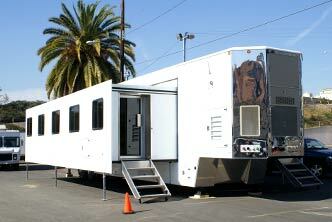 The Jexcar Starwagon is a self powered full size 3 room cast unit. 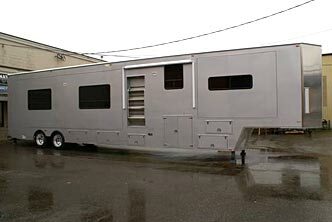 Consisting of three equal 18 foot rooms with slides, the Jexcar Starwagon is the next step up from our Cast Trailer line. Unmatched in build quality and design, Jexcar Production Vehicles are the benchmark of the commercial production industry. 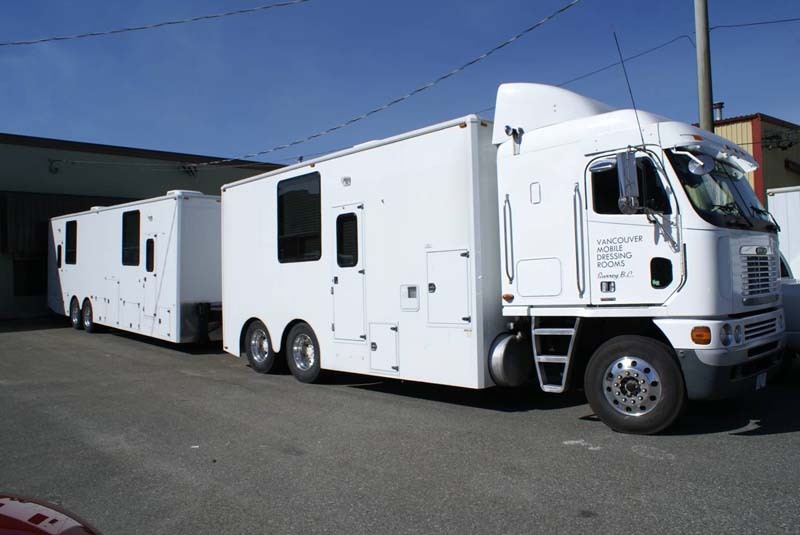 Custom built in an infinite number of configurations, our Production Vehicles will give you years of trouble free service.